The Andaz Gaslamp Quarter hotel pampers the senses and indulges your whims, offering an experience like no other. 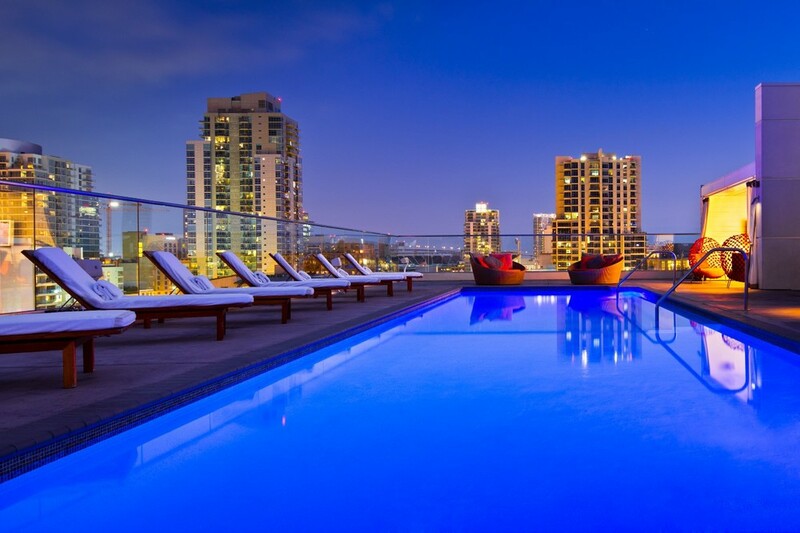 You will be greeted at check-in with a glass of wine or bottled water; they’ll plug you in with free Wi-Fi and VIP access to RoofTop600 and just when you think you've seen it all, the luxury San Diego hotel will wow you with another sweet perk or personal touch. The Andaz is a boutique-style property, rich woods and luscious bed linens adorn the spacious guestrooms which are modern in design and supremely comfortable. An abundance of amenities feature in all rooms, including 42” flat screen televisions, iPod docking stations, complimentary wireless internet, climate control, Keurig coffee-makers, terry bathrobes and mini refrigerators. Experience authentic sushi, sashimi, and Japanese favorites in the contemporary and sleek surroundings of Katsuya. After dinner, the Andaz is the place to be for entertainment. Enjoy cocktails by the pool at RoofTop600 and sample some of the 88 wines at Andaz Wine Bar. The Andaz also features a rooftop swimming pool and a 24-hour fitness centre. 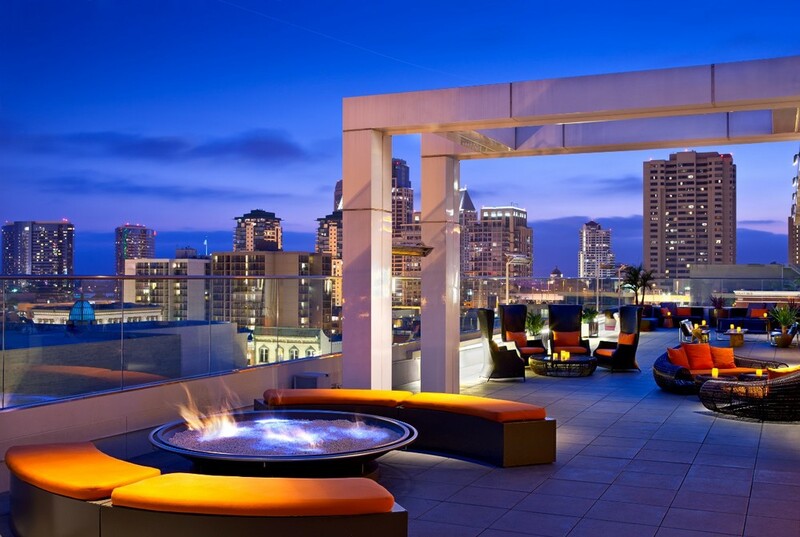 Located in San Diego’s historic Gaslamp Quarter, Andaz is surrounded by restaurants, bars and great shopping. An ideal position to explore the city, the hotel is also within easy reach of San Diego’s Old Town, the world-famous zoo and Coronado Beach. If you are looking for ideas and inspiration for your America holidays then browse through our America Multi Centre Holidays and America Fly Drive Holidays itineraries we have created for previous clients.